After patiently waiting for an hour after official sunrise, the sun finally peeked over the Windown in this image from Big Bend National Park. 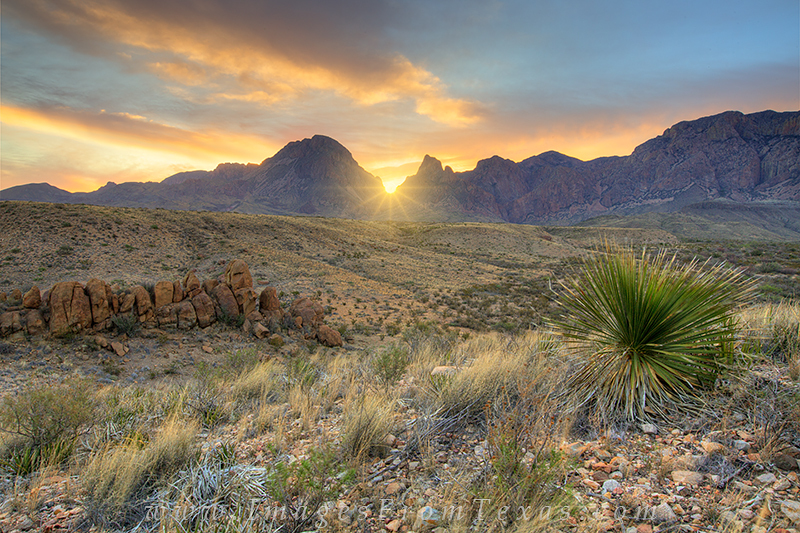 I was unsure if clouds would obcure the light, but eventually, the warming rays filtered across the Chisos Mountains. Photo © copyright by Rob Greebon.